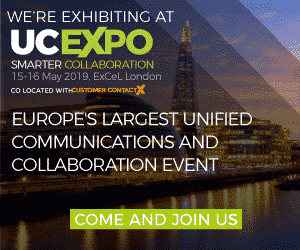 UC EXPO 2019 will launch on the theme of smarter collaboration, May 15th-16th. Cyviz will be presenting how personalizing the user experience in large collaboration rooms is becoming key for organizations. Visit the UC EXPO home page. Come see us at stand #H119. We will show you how we deliver personalized meeting experiences in large collaboration spaces. We will demonstrate our technical implementation with an innovative app integration, Microsoft Teams and Skype for Business interoperability, and authenticated and authorized level of access to any room system. Our CEO, Espen Gylvik will be raising the question on Why you should bring personalization to your large collaboration spaces. Make sure to pencil in Wednesday 15, May 13:40 pm – 14:10 pm, in the Future of Work theatre. Cyviz delivers turnkey solutions for collaboration and visualization based on a software-based enterprise platform, Cyviz Easy Platform, that is the foundation for great user experiences.